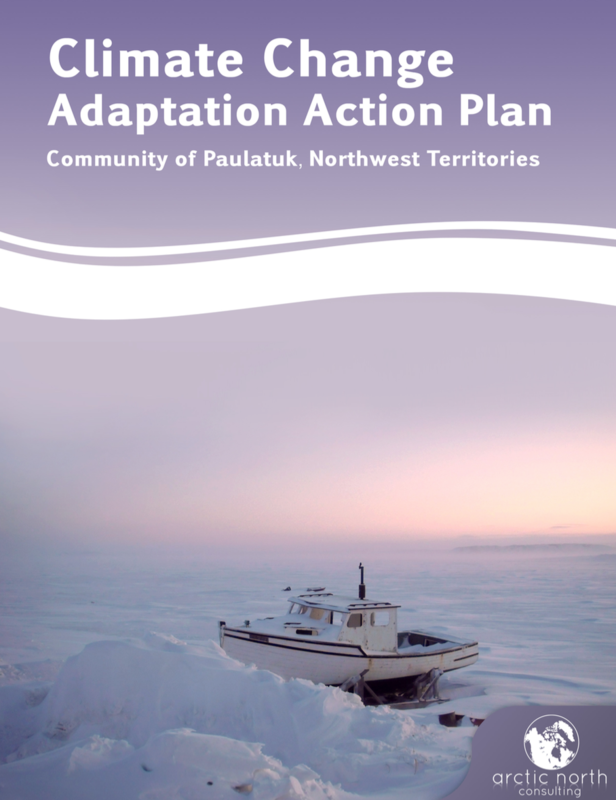 This report documents adaptation actions to address climate change issues affecting the community of Paulatuk. Shoreline erosion and permafrost degradation is assessed and mapped identifying where building reinforcement is needed and guiding the location of new developments, land skills are integrated into the school curriculum and students are credited for their achievements, and skills training is offered in the community to prepare community members to benefit from emerging economic opportunities - these are just some of the adaptation actions identified by community members in Paultuk to deal with current and expected future climate change. This document is intended to be a ‘living document.’ It is the second stage in the process of identifying and examining potential adaptation options and will benefit from continued input and feedback from community members and other stakeholders. The report is available on an interactive website (www.arctic-­‐north.com) where community members and other stakeholders can post comments and suggestions which will be integrated into the planning process.